Ignore the naysayers. Aquaman is worth seeing. I watched the Oscars last night, and I was gobsmacked by the true snub, the one nobody is talking about -- nobody but us regular people who actually like good things in life, like lasers mounted on sharks. Where was Aquaman? Never before, in the history of cinema, have we been able to witness Marry Poppins as an all-powerful Kraken-beast of the deep. Until now. 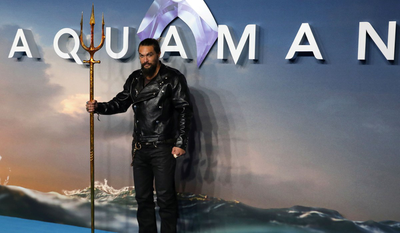 And that's just one glorious thing about Aquaman. I'm on team @DavidAFrench re Aquaman.